During the duration your school's license, it may be necessary to make changes to the school name displayed in Class Charts. 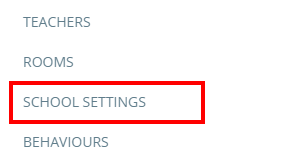 To change the name of your school, click on the three lines menu in the top right hand corner of the page and select School Settings from the list of available options. 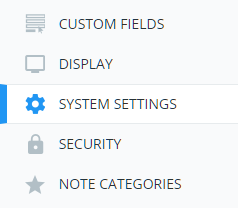 Next, click on System Settings from the menu on the left hand side. Enter the school name you wish to use into the School name field. The field will flash green to indicate that your changes have been saved.